Set of two key rings made with natural leather and a clear crystal rivet. One end has a keyring and the other has a clasp. 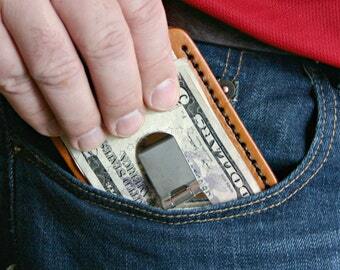 No more losing your keys in the bottom of your purse!! If you are like me, you end up digging through your purse to find your keys. 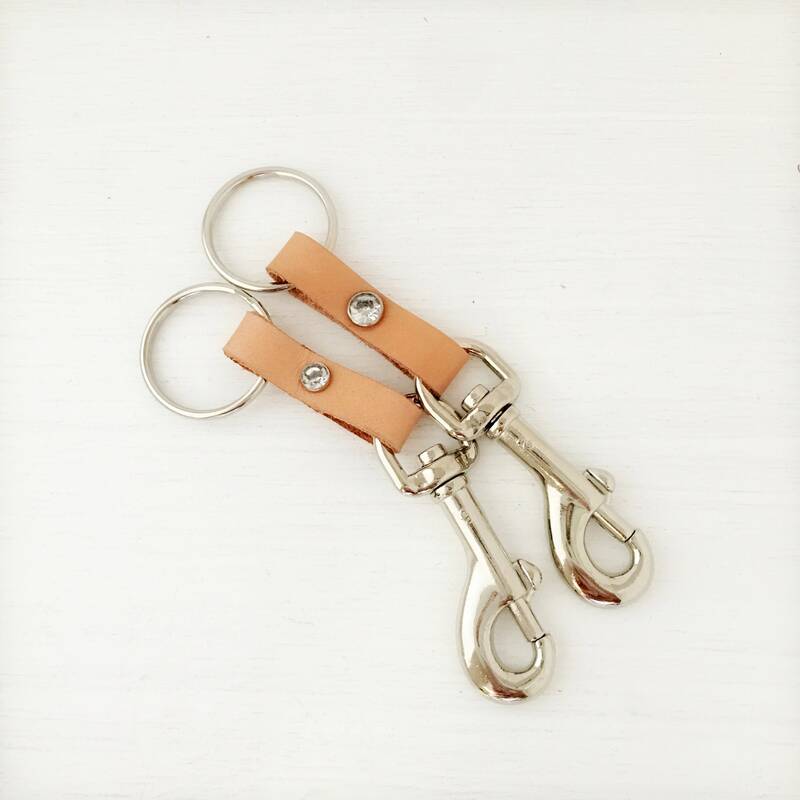 Attach this leather key fob to your purse handle so that you will always know where they are! We use natural vegetable tanned tooling leather. Coin Purse. Small leather coin purse or ear bud case. 3rd Third Anniversary Gift for Husband or Wife.